I’m a North Carolina Democrat. Like for so many folks, a good strong public education and programs created by Democrats helped me succeed in life. My public school teachers, my church and my family raised me in rural Richmond County and made me who I am today. In fact, there hasn’t been a time when politics – the art of the possible – did not mean a great deal to me. 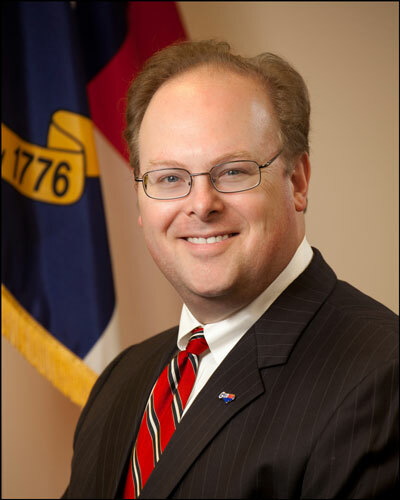 … I have served our Party at all levels … I know how our NC Democratic Party works … and how it can work better. Through my service as an elected official, I’m someone who has not only fought to implement policies we Democrats believe in but someone who has done the challenging work of campaigning precinct by precinct, county by county, and across North Carolina. In 2016, through the hard work of everyone on the SEC, North Carolina elected our candidate for Governor: Roy Cooper. And even though we won fair and square, Republicans in the legislature have taken every opportunity to squelch the will and the votes of our people, and have tried restricting and restraining our Governor and our Democratic Party, a party that represents more North Carolinians than any other. We’re entering a cycle where Republicans for the time control the Legislative Branch and have a majority on the Council of State, but have a Democrat as Governor. We are in a unique time. In fact, now is the time for the NC Democratic Party to elect a chairman who is seasoned in the grassroots needs and operational and organizational components of our Party. Now is the time for us to elect a chairman who can – and will – unify our State Executive Committee and help us address vital structural, fundraising, and messaging needs. Now is the time for us to elect a chairman who has a long-standing working relationship with our auxiliary organizations. Now is the time for us to elect a chairman who understands the needs of our Democratic legislators, justices, judges, and local officials. Now is the time for us to elect a chairman who can – and will – go toe to toe with Republican Party counterparts, and be a strong, respected voice for our Party. Now is the time for us to elect a chairman who Governor Roy Cooper can count on every day to have his back, to have your back and to represent our Party. We need a fighter you trust will go to battle every day. I am running for NCDP Chairman because of my pledge to do all the above and focus on our mission: Supporting our Democratic Governor and electing Democrats up and down the ticket, all across our State. For if we do not do these things and more, then we cannot help move our fellow citizens, our families and our State forward. The North Carolina we know and love needs us to succeed. Every county party counts on a strong state Chair and a solid State Party organization. I need your support in this race for State Party Chair and ask for your vote. Working together, we will meet these unique times head-on and we will win. Copyright © 2019 · Paid for by Wayne Goodwin for NC.